Pharmacies across the United States dispense billions of prescription items every year. With the increased delivery of prescriptions drugs and health care products to consumers comes an increased demand for pharmacists’ clinical skills. 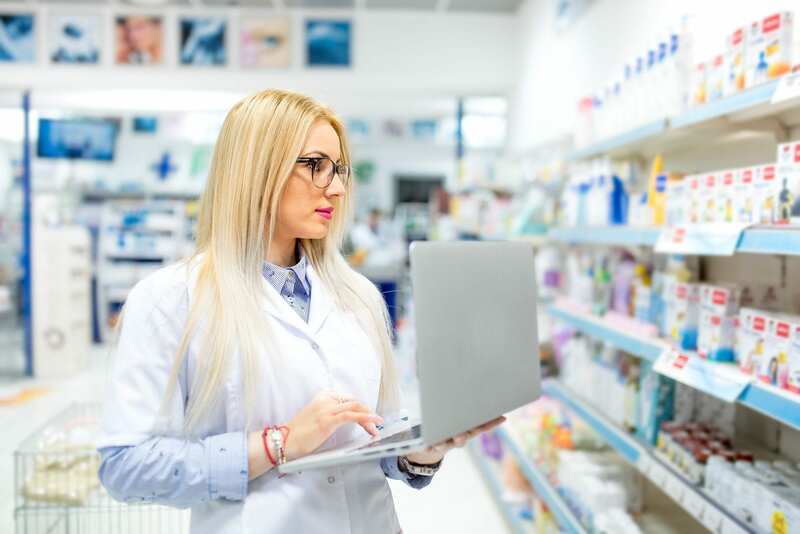 To help pharmacists focus more on the clinical side of things, optimizing the skills, knowledge, and competencies of pharmacy technicians become critical. Pharmacy technicians prepare and dispense prescriptions and manage the daily operations of the pharmacy so pharmacists can engage in patient counseling activities to assist patients with the management of chronic diseases and medicine regimens. 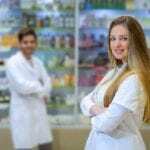 In many retail pharmacies, pharmacy technicians may already be functioning at a managerial level to ensure the smooth flow of clinical, financial, and administrative operations. In hospitals, a technician’s role, as determined by the state, may include medicine reconciliation, advising patients on their medication routine, procurement of stock, developing and implementing operating procedures, and managing the day-to-day operations within the dispensary. The job outlook for pharmacy technicians in Mississippi remains positive as demands for prescription medications increases due to the prevalence of chronic conditions. Pharmacy technicians in Jackson, MS, earn a median annual salary of $29,555. Students who enroll in the pharmacy technician program at Virginia College will develop the hands-on and interpersonal skills that pharmacists want. Key skills include the ability to transcribe physicians’ orders, prepare prescriptions for dispensing, label and store medications, and interact with patients and other health care providers. Qualified instructors encourage participation in the skills lab, interaction during the lectures, and real-world experiences during the pharmacy externship. Students must complete 60 credit hours to successfully complete the program and earn a Pharmacy Technician Diploma. Course topics include customer service, career exploration, learning framework, introduction to pharmacy, pharmacy terminology, pharmacy operations management, and pharmacy calculations. Students also learn pharmacy law and medication safety, institutional pharmacy, community pharmacy, sterile compounding and aseptic technique, pharmacology, and pharmacy technician certification review. Persons who plan to enroll in the program must pass the Wonderlic SLE with a minimum score of 10, hold a high school diploma or equivalent, complete a criminal background check and drug screen and complete a pre-acceptance interview. Tuition for the program is $23,470 and does not include books and supplies. Taught by a registered pharmacist, the pharmacy technician program at Access Training prepares students to assist pharmacists with the preparation of prescriptions and counter dispensing operations. The curriculum prepares students to sit the certification exam and for an entry-level position in pharmacies in hospitals, home health care, and retail settings. Over a period of 12 weeks, students learn keyboarding, medical terminology, medical anatomy and physiology, communication, introduction to pharmacology, pharmacology I and II, pharmacy law and ethic, non-prescriptive drugs and devices, pharmacy math and calculations, pharmacy math, and the certification exam review. Students will also complete a pharmacy externship where they will have the chance to work in a local pharmacy alongside the registered pharmacist. Students must complete all the pharmacy technician courses before participating in the 175-hour externship. Applicants must submit a completed application with the non-refundable processing fee of $20. Copies of a high school diploma or GED equivalent, birth certificate, drivers license or state ID, social security card, immunization record, and background check must also be submitted with the application. VA students must submit a Certificate of Entitlement. Access Training is an approved WIA vendor. 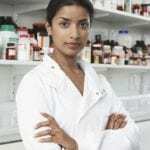 Mississippi College offers its pharmacy technician program in collaboration with Condensed Curriculum International to prepare students for success on the PTCB exam. The program includes lectures and hands-on labs that simulate a real-world experience. The program is lead by the practicing registered pharmacist who will cover topics such as IV flow rate, drug compounding, dosage calculations, dispensing of prescriptions, dose conversions, inventory control, and billing and reimbursement. The curriculum covers a total of 50 hours. Classes meet on Monday and Wednesdays from 6:00 pm to 9:30 pm for eight weeks. Students must have a high school diploma or GED to take the PTCB exam. Tuition for the program is $1199.